The 10 Best Libraries in Nebraska! Nowadays, there’s more to libraries than just books. In Nebraska, the local libraries offer a variety of community services and digital resources to keep people of all ages informed and engaged. Here are 10 of the best libraries in Nebraska to check out! At the center of every university is a great library. Fuel your curiosity at one of the many libraries in the University of Nebraska-Lincoln system. Do research, study in a variety of spaces, or access electronic materials from all over the world. 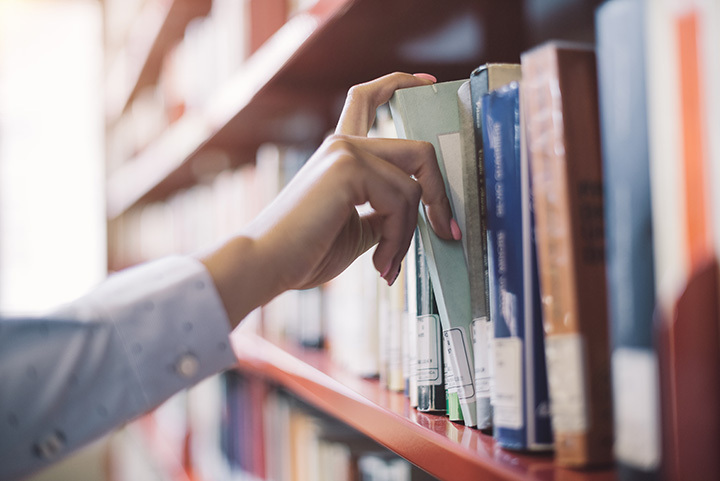 In addition to the university libraries, the city of Lincoln also has its own local libraries that offer a variety of resources to the community. From classes to events for teens and kids, there’s always something going on! The Omaha Public Library is a big part of the city’s community with its many partnerships, book clubs, events, and outreach programs. The Bellevue Public Library offers printed, audiovisual, and computer-based resources for all ages. Founded in 1929 by the Bellevue Junior Woman’s Club with a gift of 12 books, the library has expanded into a key part of the city. Need a study room, meeting room, or makerspace? In addition to its impressive library of books, Hastings Public Library has it all. For an expansive range of books, e-books, and audiobooks, the Village of Fairmont public library has an excellent collection. This community library provides a number of services, such as reading groups, meeting rooms that can booked, a quilting club, and much more. The Gretna Public Library provides databases and online services through a combination of its own resources, the State of Nebraska, and through the Nebraska Library Commission. Whether you are researching a school project, conducting a job search, or simply hunting for a great book, the Gretna Public Library can help. The city of Wayne Public Library offers a wide variety of books and resources in person as well as an impressive library of audiobooks and eBooks. Local citizens can access thousands of current magazines, journals, newspapers, and much more. The Louisville Public Library provides resources and service to the community and was founded by the Louisville Women’s Club in 1901. The library began with one hundred used and donated books and has since thrived becoming a staple in the community. The Fairbury Public Library was built in 1909 with funds provided by Andrew Carnegie. The historic library now houses a variety of public resources, including computers, a genealogy section, meeting rooms, and much more.